After years and years of speculation, rumors, and separate coffins living situations, Kris and Bruce Jenner confirmed to E! that they are no longer romantically involved. The wording, however, leaves many questions to be answered. Like, are they getting a divorce any time soon? What’s the point, and were her ladybits more like a carnivorous plant gnawing on him slowly or did they clamp down suddenly, like the twisted rusty bear trap from Saw? 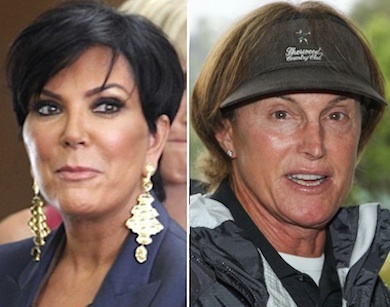 Bruce and Kris Jenner have separated after 22 years of marriage. He lives in Malibu, she’s in Hidden Hills, the kids are all over the place, no one’s really at a loss except for Vampira’s future lover/client/plant waterer/dog poo scooper. Rob Kardashian told ET that Kris is “in a happier place” as if she’d been put out to pasture, softly grazing on dollar bills alongside other momagers.